Wrangler offers a great solution with this Wrangler Riggs Men's Burgundy 3W750 BG Long Sleeve Henley Shirt for hard working people everywhere who need reliable workwear to get them through a strenuous day. It's an all-purpose tee built for people who work with all ... (see full details) (see specifications) #WRG3W750BG. Wrangler offers a great solution with this Wrangler Riggs Men's Burgundy 3W750 BG Long Sleeve Henley Shirt for hard working people everywhere who need reliable workwear to get them through a strenuous day. It's an all-purpose tee built for people who work with all the features you expect when you opt for Riggs Workwear. Constructed of 7-ounce 100% cotton ringspun jersey, this classic cotton pullover top is constructed to last with triple-needle stitching. It's comfortable, too, styled with a relaxed fit, a taped neck seam, vented and taped side seams, and a tagless collar that puts an end to the irritation of a tag scratching at your neck all day long. Styled with a classic henley-style collar that lies flat at the neck and features a two-button closure, this tee also has a left chest pocket and a hidden utility loop. Made to be worn alone or layered, this classic henley delivers versatile style and comfort. It's bound to be your next favorite shirt, and we have several colors available. Better order plenty! 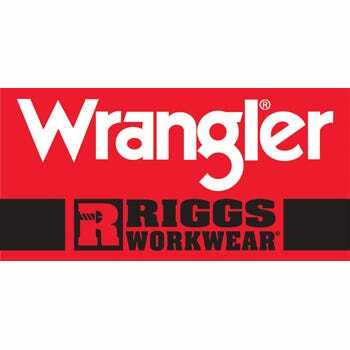 Order your Wrangler Riggs Men's Burgundy 3W750 BG Long Sleeve Henley shirt today, right here at Working Person's Store! Great price on such a nice shirt. I think they have a nicer look over a regular T shirt. Working Person is the best. These shirts are well made, heavy duty, and the fit is tremendous. I'm a big man with 18½" neck, 56" chest and 42" waist and clothing fit and comfort are important. These shirts are some of the most comfortable I have found to be in all day long in. Highly recommended for price value, quality and fit!!!! I recently purchased a few of these shirts for myself with the intention of purchasing more for the rest of my guys. Before purchasing more I wanted to make sure they were going to last through our day to day wear and tear. After wearing the shirts for a week or so and after several washings I am completely satisfied. Very comfortable to wear and very durable. They only shrink a small amount. Just placed another order for more for the rest of my guys. Wrangler Riggs Shirts: Men's Burgundy 3W750 BG Long Sleeve Henley Shirt is being added to your cart.